What did I know? And at the time, he wasn’t wrong. He loved the book and helped me make it better and fought for it. Knowing what I know now, I would have insisted on a different book cover, but I didn’t know I could have opinions about such things. When I republished Offsides as an e-book, I did update the cover with the help of Susan Taylor Chehak (formerly of Foreverland Press). Yet somehow, Offsides still gets nibbles. Last year, a friend mentioned wanting to pitch it at Netflix, and another approached me about a Hallmark Christmas movie adaption of the novel, inspired by a “football/Tree Grows in Brooklyn” tale I’d told at Arc Stories, “Santa Secrets” in Birmingham, Alabama. True Story. About film options and money – Jim Henson Productions paid me $15,000 for the Offsides’ film option. I was thrilled. It would pay off all credit debt and restart our savings. Then I came to be at a loud holiday party after Offsides was optioned with hipster screenwriting parents and screaming kids. I smiled without correcting him and said, “You’re right. Thanks. Cheers.” Then I downed my plastic cup of red wine, poured another, and stepped outside and breathed in the December air of California and howled. Fine, I didn’t howl, but I felt like it. Sometimes, I would think of Tevye’s words from “Fiddler on the Roof,” while I figured out which bills to pay – Would it be so terrible…if I had a small movie deal? I was such cliché of everything. Back in the day, Offsides was going to be a half-hour show, then an hour, then a film, a mini-series, and then it got batted around with different interpretations. Maybe it should be told from the coach’s point of view or the mom’s point of view, multiple coaches’ wives point of view or even the daughter’s point of view? Rama, Lynn, Bernie, Marcy, Diane, and Bill and others were all lovely and smart and kind and it ultimately went nowhere. Diane Keaton bought a bed for a teen mom I was mentoring. She even came to dinner at our home in Silver Lake when things were still hopeful. The most humiliating moment occurred when my five-year-old, Lucy, told her we had to “work hard and clean up for the whole house just for you!” My seven-year-old, Flannery, informed her in a rather wistful voice that our garden was “barren” (one of his spelling words that week). I know it maybe wasn’t as bad as I remember, but we were definitely the weird family that night. There is no way around it. I wrote about it for the LA Weekly nine years later, Pregnant Pauses, Toys in the Crawlspace. Anyway. 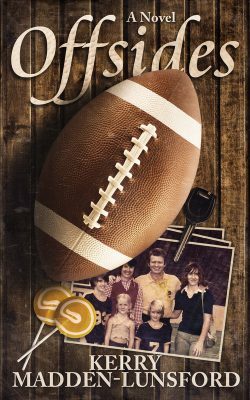 during those pitching years of hoping something might happen with my first novel, I had a third child, Offsides went out of print, and I racked up a slew of rejections on the sequel. The YA editors in New York said the sequel was “too adult” and the adult editors said it was “too YA.” It was before “New Adult” was on the scene. A bright spot – I did get to sit next to the handsome “Coach Taylor” (Kyle Chandler) at a Word Theatre event in Los Angeles produced by Cedering Fox, and I gave him a copy of Offsides. My husband, Kiffen, was parking the car and by the time he came into meet me at this dinner theatre kind of event, I was already seated next to Kyle Chandler chatting away, which my husband found most humorous because he is wonderful. If you had it to do all over again, what – if anything – would you do differently and why? Like Offsides, I would absolutely change the book covers to the Smoky Mountain Trilogy – Gentle’s Holler (Viking, 2005), Louisiana’s Song (Viking, 2007), and Jessie’s Mountain (Viking, 2008). They are lovely and lyrical, but they are girly. 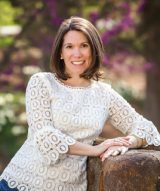 I had many school visits and boys would say to me – “that is a girl book.” And teachers told me the same thing, though they said they had plenty of boys reading the books. If could do it again, I would suggest the idea of a family of ten kids swinging from trees on the all covers. Again, I was trying to be such a team player, and I should have spoken up, and I didn’t know this until after Gentle’s Holler was published and began to hear from teachers and even booksellers. Sometimes, I think I should have written under only Kerry Madden or Kerry Madden-Lunsford. I’ve gone back and forth. Offsides’ peckish sales made me drop “Lunsford” when I wrote Writing Smarts (American Girl Publishing, 2002) and I didn’t add “Lunsford” back when I wrote Gentle’s Holler, because my mother-in-law was mad at me for writing that middle-grade novel, which drew on my husband’s childhood in the mountains. 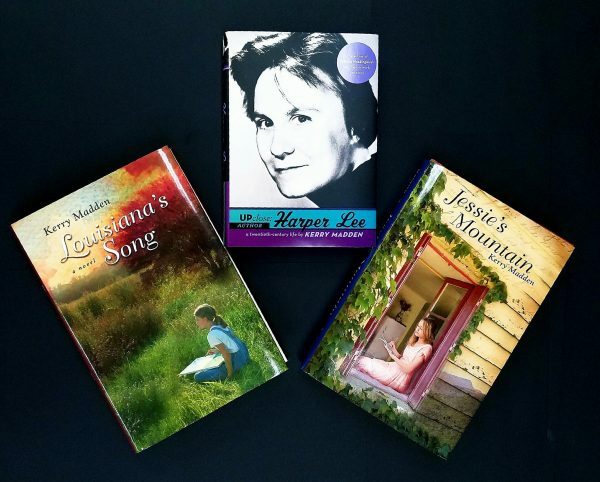 I didn’t send her the follow-up companion novels, Louisiana’s Song or Jessie’s Mountain, the books that became the Smoky Mountain Trilogy about the Weems’ family. 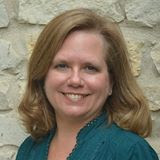 Another sister-in-law (Kiffen has seven sisters), Tomi Lunsford, adapted, recorded, and sang the songs in all three novels. We even took the show on the road where she performed Livy Two Weems’ songs. Tomi has the most beautiful voice and has been a professional singer/songwriter in Nashville for years, and she was my proto-type when I was thinking of Livy Two Weems, the songwriting kid from a huge family. As for other things I would do differently, one in particular comes to mind. While on the book tour in 2008 for the Smoky Mountain novels, I had to share the stage with the Care Bears, and so that is something I could have lived without. Finally, for my two picture books, I went back to Madden-Lunsford. With the first one, Nothing Fancy About Kathryn & Charlie, (Mockingbird Publishing, 2013) my daughter, Lucy, beautifully illustrated it, and she’s Lucy Madden-Lunsford, so I wanted my name to match her name. That picture book was about the friendship between Alabama storyteller, Kathryn Tucker Windham and folk artist, Charlie Lucas. Kathryn was a friend of Harper Lee’s, and I’d interviewed Kathryn a few times while writing the biography of “Nelle Harper” called Up Close: Harper Lee (Penguin Random House, 2009). I loved Kathryn, who welcomed me with cornbread and sweet tea into her home in Selma, and we became friends. I was heartbroken when she died as I was already trying to write a picture book about her. Lucy and I also went on a book tour to rural Alabama libraries, and we were the Madden-Lunsfords, mother and daughter. Norah, the little sister, came along too, as did our dog, Olive. Here is our blog called “Nothing Fancy About a Book Tour,” where we told stories and got the kids to make trees out of yarn, sticks, and buttons. 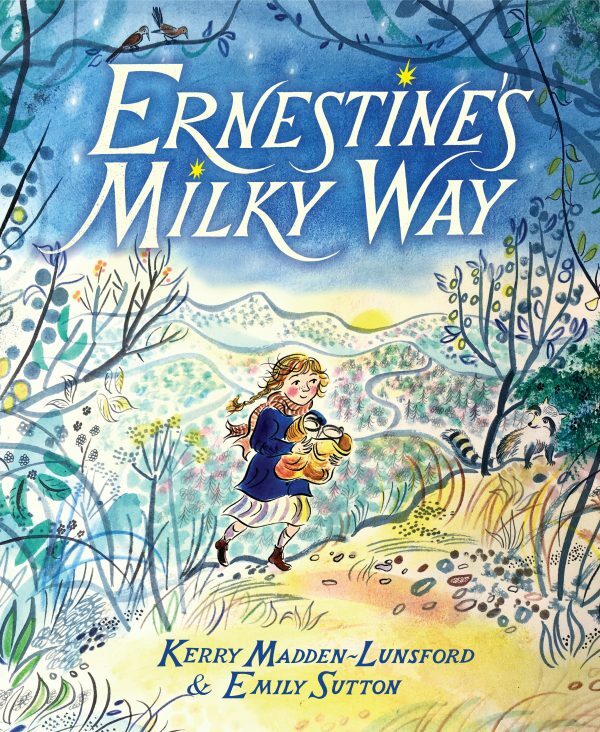 And with Ernestine’s Milky Way (illustrated by Emily Sutton, Schwartz & Wade, March 5, 2019), the Lunsford family name is well-known in North Carolina where the book is set in Maggie Valley, but I think it was more of an emotional decision. Here is my husband’s great uncle, Bascom Lamar Lunsford, singing “Mountain Dew,” a song he wrote and sold for a $23 bus ticket to get home. But since 2009, I’ve been dividing “home” between two states, Alabama and California. 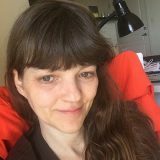 I’m currently the Director of Creative Writing at The University of Alabama at Birmingham, which means I’ve lived apart from my husband for almost ten years during each academic year. He is an LAUSD teacher with 30 years in the district, and we did not want to ruin his retirement. He is Kiffen Madden-Lunsford, and we took each other’s names when we got married. Living apart for nearly a decade, tenured in two different states, California and Alabama, was never the long-term plan, but we had three kids to put through college. Now two out of three are college graduates, and the youngest attends UAB where I teach. Our kids are also all Madden-Lunsfords, and they’re grownup now, and I miss them. So I slowly began using Lunsford again. Harry Potter changed everything. That’s not new or original, but I do remember my son receiving the first Harry Potter book, The Philosopher’s Stone (by J.K. Rowling, Bloomsbury UK, 1997), sent to him by three different people on Christmas in 1997. And I thought – oh this is different. And I also jealously thought – no kid was receiving three copies of Offsides under a tree somewhere. But our boy devoured each and every book as they came out, loving them so much. He was already a huge reader, and it was exciting to see him fall in love with a book so deeply as he did Harry Potter. Other evolutions? The #ownvoices is a newer and much needed movement, and I’ve come to a deeper understanding of writing from different cultures. It was something I hadn’t thought about much because I didn’t need to think about it. I began think about diversity in characters in my books, and then I realized I needed to go further and think about diversity in authors. I also heard Linda Sue Park speak, and it really shifted my perspective. 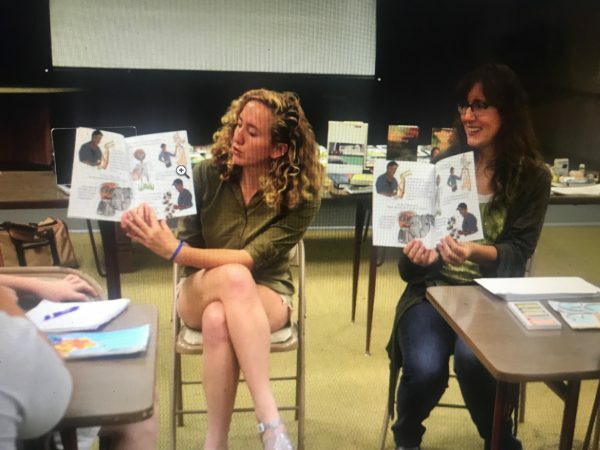 I’ve been lucky enough to teach creative writing to diverse student populations, and it was exciting to see one of my UAB student’s books get published by Feiwel and Friends called Into White by Randi Pink (Square Fish, 2018). That book began in our “Writing for Young People” workshop at UAB in the George Wallace Humanities Building (that is not a typo). And I remember Randi being worried about reading it to us. 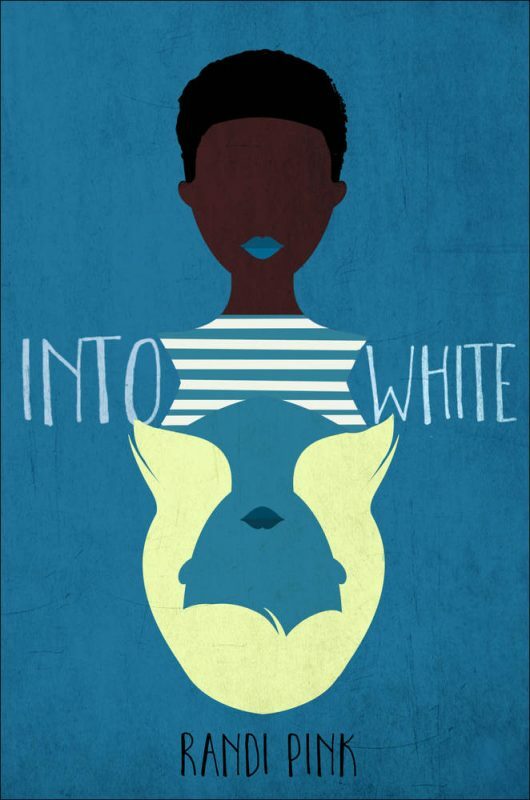 The story is about a black girl who makes a wish to become white, and Jesus grants her wish. 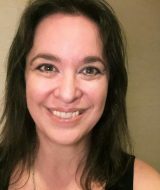 We all fell in love with her first chapter and its humor, and Randi kept going, but then she _really_ kept going after the workshop by doing the things you are supposed to do if you are serious about writing for kids – like join and become an active member of SCBWI and go to national conferences. Randi grew up in Birmingham and faced so much racism by her white guidance counselors, who advised her to take easy math and other remedial classes. She has gorgeous essays about that time that I hope she publishes one day. What advice would you give to your beginner self, if that version of you were a debut author this year? Be kind. Be gentle. Do what you do, but then find somebody else to do what you cannot do like make a book trailer or create an updated website. Learn to meditate. Learn to breathe. Do yoga. Learn not to take things personally or react. Take more walks and look at trees when you are feeling overwhelmed and slammed with self-loathing. For goodness sakes, don’t compare yourself or you’ll end up weeping in your car under a tree on a dark street, feeling like a giant stomping loser. Maybe you’ll do that anyway, but if possible – don’t. Just don’t. Be kind, be gentle, and most of all remember to breathe – five breaths in and seven breaths out. It’s going to be okay. Other advice? I remember thinking way back when that I would not write picture books, because I wrote middle grade, and before that, I thought I would only write YA books or literary fiction for adults. Without meaning to, I’ve written for all the ages, but it took me longer, I think, because I boxed myself in and told myself – I write YA. Then I thought, well, I actually write middle grade. And then because I had to teach writing picture books, I figured I’d write one for fun to show the students how it was done – ha! It was so hard and it took me so long to get one right. And I still wrack up the rejections at a steady clip. So again if this were my first year at all of it, I would say – breathe, child, meditate, take walks, eat blueberry pie if you want and enjoy the journey. It’s not a race, another cliché, but it’s the truth. And most of all, look at the world the way a child sees the world – the way my wonderful friend, Ann Whitford Paul, reminded me to do in her book Writing Picture Books (Writer’s Digest Books, 2018), the textbook I use in my own workshop. And to borrow from Neil Gaiman – answer less emails and write more stories. I would wish for everyone to have a writers’ group of supportive and loving members. 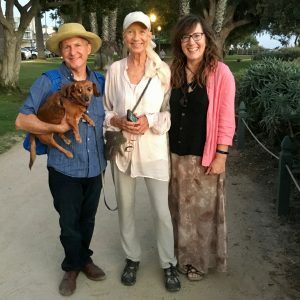 I have been incredibly fortunate to have an online writing group of three other working children’s authors, who write picture books to young adult. We met each other at Kindling Words two years ago and since that time, we have met online to workshop our stories every two weeks. From the beginning, these writers saw things in my new middle-grade novel that I could not see, and it gave me the courage to keep going. We meet in three time zones and we have never canceled on each other. We show up and we know the struggle of maintaining longevity in this career, but we laugh a lot and offer support and kindness. We also can cry in front of each other, and I love them dearly. I also have a writing group in Birmingham, whom I meet with regularly, and to see them face-to-face is huge and comforting to me. We have coffee and meet at Birmingham Bread Works, and open our laptops, hearts, and stories. 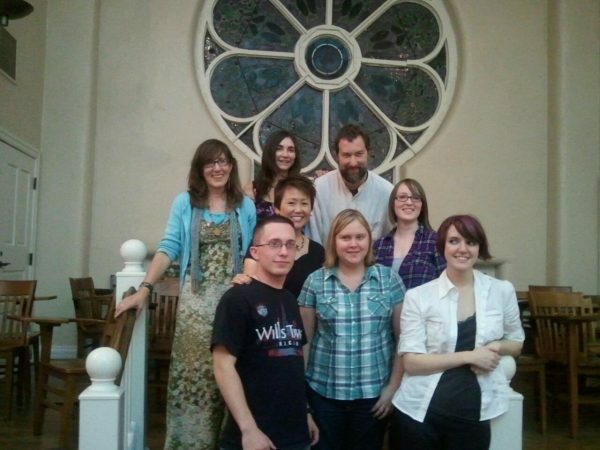 I also have my very first writing group in Los Angeles, and those are women who are my closest friends to this day. We began meeting when our children were babies, and although we don’t meet regularly anymore, I know I could write to them in a heartbeat and say, “Would you read this?” And they have all been published in every genre from fiction to mystery to children’s to nonfiction to poetry. I couldn’t live without my writing community. They remind who I am. I am held accountable to them. I am beyond grateful, and we show up for each other when our books come out too. 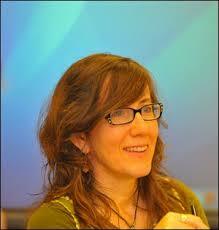 I would like to continue to write picture books, plays, novels, and some memoirs. I would like to teach a little less, and I am making that happen. I love teaching so much, but it eats up my brain space for my own stories, so my goal is to write more and teach less. My other goal is to stay offline more, but that is another essay. I have written a lot of essays for the Los Angeles Times, and I have taught Creative Nonfiction for years now, and I love the form of the personal essay. I replied with tepid, “Maybe” because I’d already found some long-lost cousins who bickered with each other online and wanted me to take sides. And I’d never heard of Maureen O’Sullivan other than the actress. How could she be my relative? Maureen and I have lived parallel lives in Los Angeles for more than thirty years, and when we met, we already had 15 Facebook friends in common. (Now we have 47 in common.) But most importantly, Maureen, “Mo” has been sober since 1982. Mo, for she is now “Mo” to me, also has stage four cancer, but she lives a life that is filled with healing from meditation to chemotherapy to sound therapy to plant medicine to her 12 step meetings. In the time since we met last May, we’ve exchanged hundreds of letters and thousands of texts, and I’m compiling them. She’s become the sister of my heart, and when I lament, “Why didn’t we meet sooner,” she smiles says, “Because we met at the perfect time.” She is way more evolved than I am. 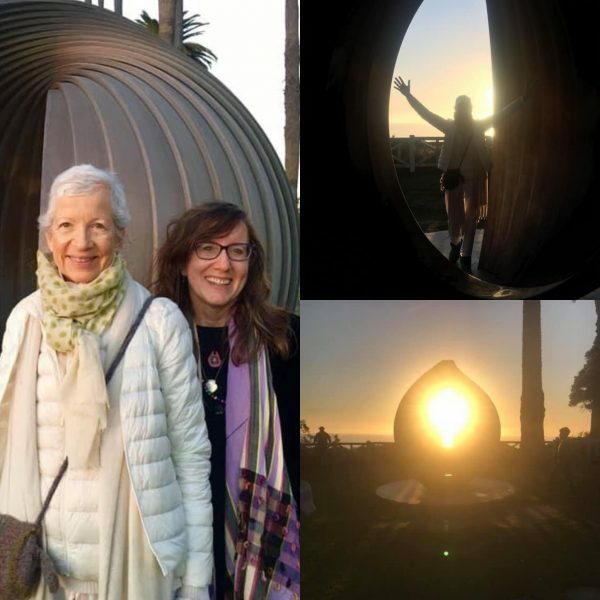 Mo and Kerry spent the solstice together and watched winter set through the Gestation III sculpture by Bailey Oakes in Santa Monica. I considered not replying. In the past year, I had discovered cousins on my mother’s side who were thrilled to be found but drained my energy with daily texts, religious requests, and conspiracy theories. Stunned, I knew and loved these relatives. It turned out that Maureen and Tricia had done the Ancestry DNA test and connected, Tricia being the genealogist sleuth. My first phone conversation with Maureen segued into talking about the Brontes and Louisa May Alcott. When we gave a timeline of our years, we discovered we’d lived parallel lives in Los Angeles for over three decades. Facebook told us we had 15 friends in common. What? Maureen had moved to LA in 1983, and I’d moved to LA in 1988 with my husband, Kiffen. In 1987, we even missed Maureen by a month in Moscow where she produced the first “Peace Rock & Roll” concert with Bonnie Raitt and James Taylor. Kiffen and I passed through Moscow on the Trans-Siberian after teaching English in Ningbo, China. Of course, Maureen and I didn’t miss each other, because we didn’t know each other. But how many times had we been at the same event over the years – a book launch, an art opening, a concert? I laughed, and we arranged to meet the following Wednesday. I anticipated a pleasant but likely one-off meeting with my unknown cousin. I knew by then she was undergoing treatment for cancer that had returned from a decade ago. I wasn’t sure what to take, so I decided on blueberries, because they’re my favorite. I grabbed a spray of yellow roses, because I always take them to my husband’s mother. I parked and she called from the porch, “Are you my cousin, Kerry? I thought that was you.” It was a lovely and unexpected way to be greeted. I called out, “Hi Maureen” for she was not yet Mo. So I have a lot of work to do and a lot of writing. And I can’t wait to return to Maggie Valley, North Carolina to share Ernestine’s Milky Way, where my new picture book is set. I met real Ernestine at Joey’s Pancake House after Gentle’s Holler was published. 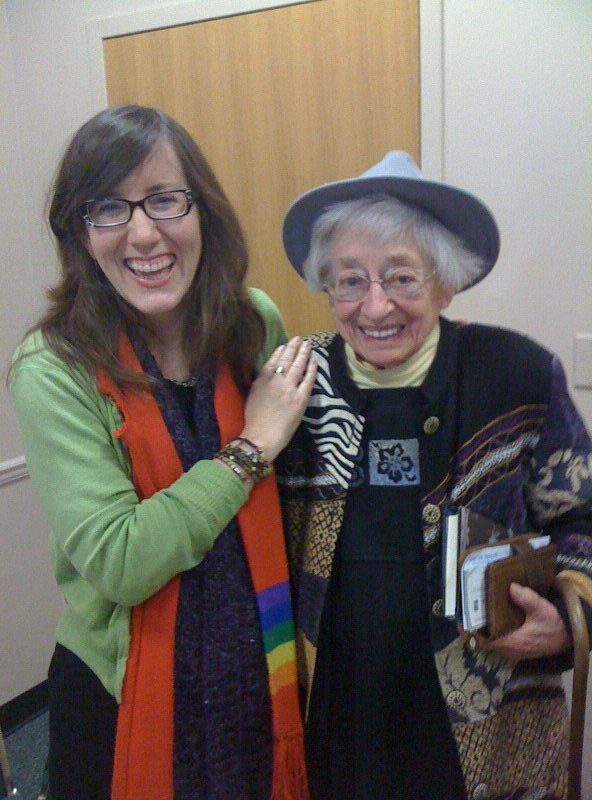 She inspired the idea for this picture book, and she became my mountain mother. But that’s another story.